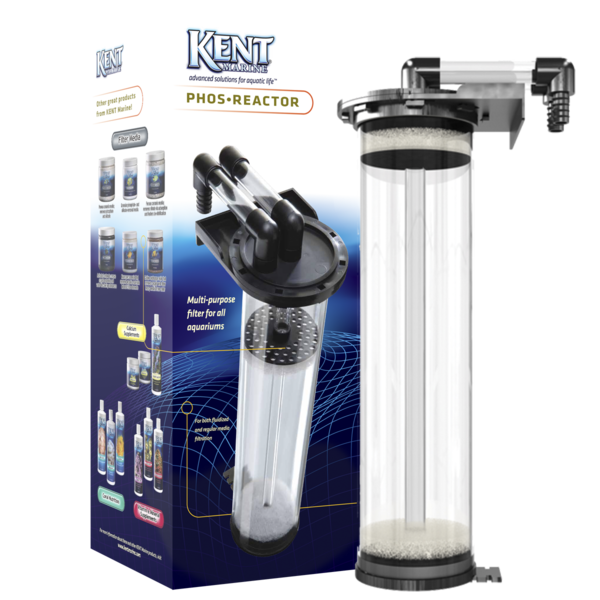 The KENT Marine Phos•Reactor is built from high-quality acrylic and ABS, and utilizes a unique twist-lock head. This unit may be used with numerous filtration media but is most efficient when using as a fluidized bed filter with phosphate-removal media such as KENT Marine Power-Phos and Phosphate Sponge. 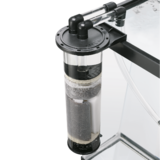 Can be used for both hang on aquarium and in-sump applications. 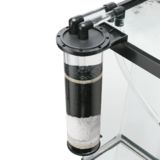 The compact size and effectiveness of this filter makes it ideal for use on nano-reefs and other small aquaria. 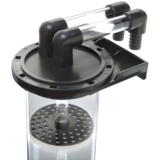 For freshwater aquariums up to 300 gallons and for marine aquariums up to 150 gallons. 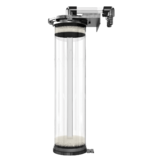 Multiple units may be required for desired results. 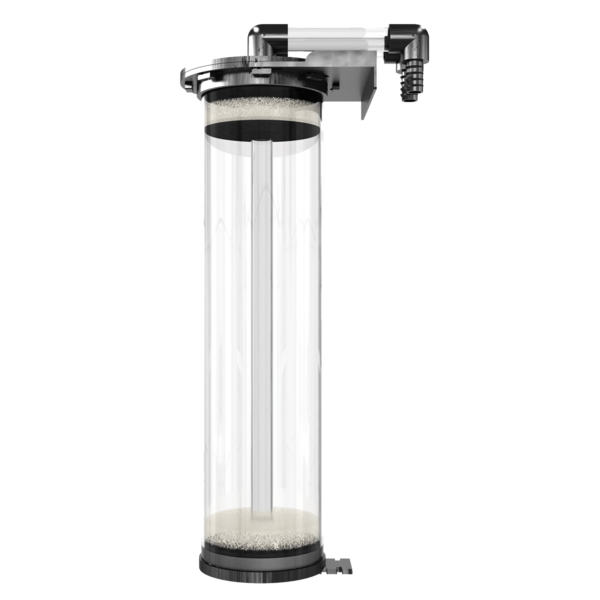 *Requires a submersible pump with a flow rate of 40 to 100 gph at 0' when media present. 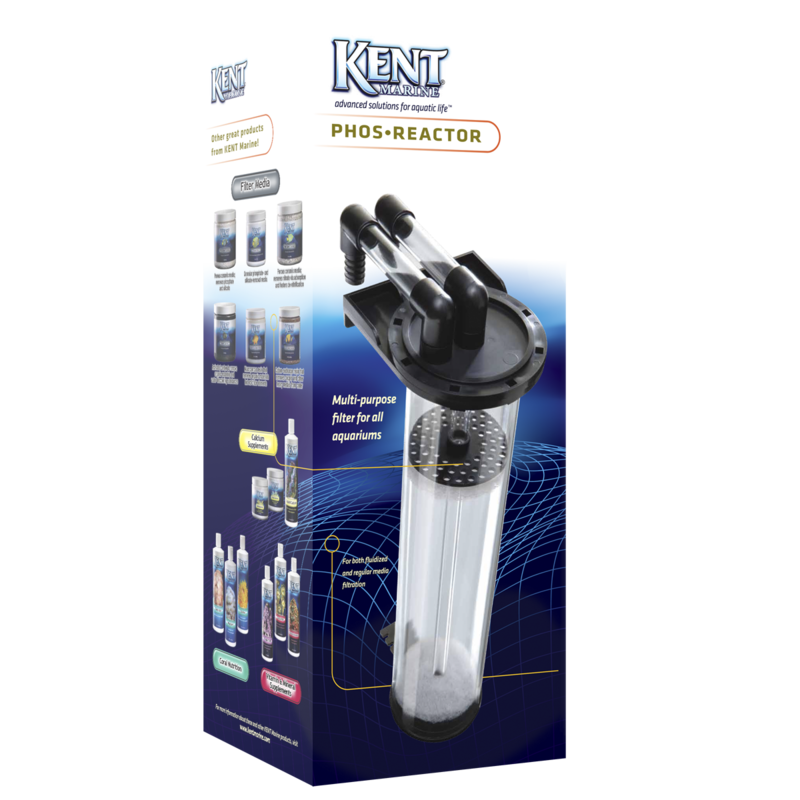 The KENT Marine Phos•Reactor can be used with numerous filtration media to best suit your aquarium needs. Larger media can also be placed loosely in the reaction chamber. 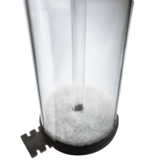 A single media or any combination can be used to fill the reaction chamber. 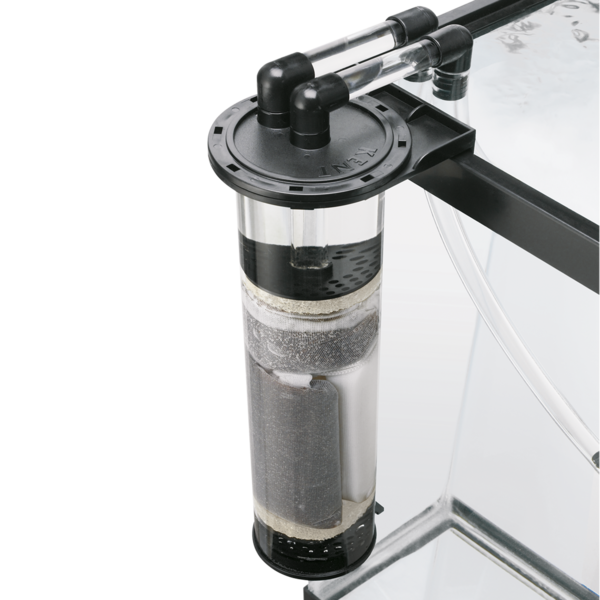 The Phos•Reactor ensures that water will flow through the media before going back into the aquarium. 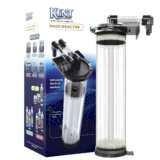 This works well with KENT Marine Reef Carbon, Nitrogen Sponge and Phosphate Sponge. 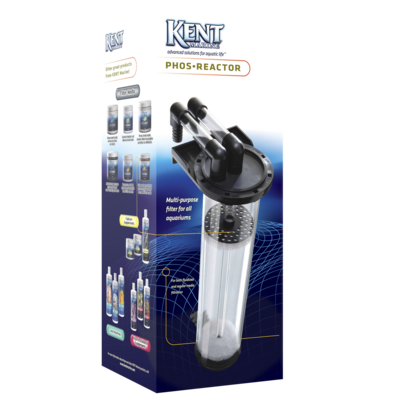 The KENT Marine Phos•Reactor also works well with smaller media like resins. 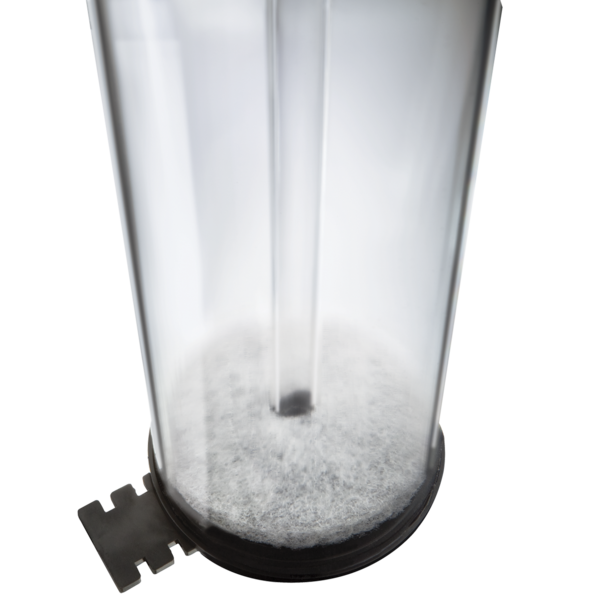 Place this media type in a micron bag or nylon sock before placing in the reaction chamber. 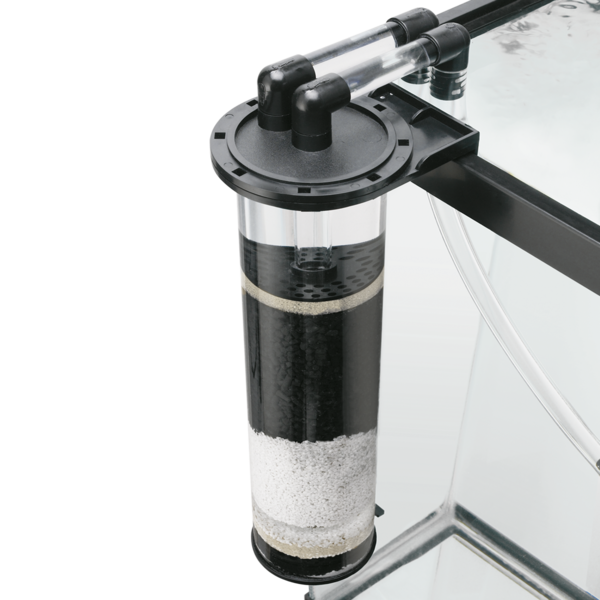 This keeps the small particles contained and prevents them from accidentally flowing in to the aquarium. 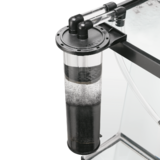 KENT Marine Organic Adsorption Resin, Mixed Bed Resin and Toxic Metal Sponge work well when attempting to remove unwanted organic stains, gases and metals without removing useful trace elements.